Governor Terry McAuliffe joined Dr. Rosa Atkins, the Superintendent of Charlottesville Public Schools; Dr. Karen Rheuban, a Pediatric Cardiologist at University of Virginia and a member of the American Academy of Pediatrics; and Deborah Oswalt, Executive Director of the Virginia Health Care Foundation to celebrate the fifteenth anniversary of the Family Access to Medical Insurance Security program (FAMIS) in Virginia. FAMIS, Virginia’s Children’s Health Insurance Program (CHIP) provides quality, low-cost health insurance to children and teenagers of working families across the Commonwealth. Since 2001 over 630,000 children have received health insurance through the FAMIS program. FAMIS also helps enroll thousands of children into the children’s Medicaid program, FAMIS Plus. 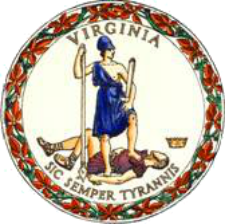 Together, these two programs have provided critical health insurance coverage to more than 1.6 million Virginia children over the past fifteen years. Currently, monthly children’s enrollment in FAMIS and FAMIS Plus is almost 600,000 children. However, there are still an estimated 75,000 uninsured children and teenagers in Virginia that qualify for FAMIS or FAMIS Plus. Again this year, all 1,863 of Virginia’s public schools are distributing FAMIS Back-to-School flyers to students during the first week of school. Governor McAuliffe encouraged participants to join the team effort to get all children in Virginia health insurance coverage. For more information about the program and how to enroll, please visit www.coverva.org.